Brinkin is located on Timor Sea at the southern end of Casuarina Beach, and is bounded by Trower Road to the north, Ellengowen Drive to the east and part of Rapid Creek and a stormwater drain to the south. The suburb consists of a few residential blocks to the north of the university, the university itself, a coastal reserve and part of the Rapid Creek Wetlands. In the 2006 census, Brinkin had a population of 1,040, a median age of 30, and a median individual income of $681 per week, compared with $682 per week in Darwin generally, and $466 nationally. The population of Brinkin was predominantly Australian-born - 63.05% as at the 2006 census - while 4.41% were born in the United Kingdom. Other significant groups include those of Greek (9.2%), Chinese, Italian, Indian and South East Asian descent. 3.4% of residents identified as Indigenous Australians. The main occupations of Brinkin residents are in the public service, education and health. The most popular religious affiliations in descending order in the 2006 census were Roman Catholic, no religion, Anglican, Greek Orthodox and Uniting. Ellengowan Drive in Brinkin was named after the SS Ellengowan, the oldest known shipwreck in Darwin harbour. ^ Australian Bureau of Statistics (27 June 2017). "Brinkin (State Suburb)". 2016 Census QuickStats. Retrieved 29 June 2017. ^ Northern Territory Lands Group (21 June 2007). "The origin of suburbs, localities, towns and hundreds in the Greater Darwin area". Archived from the original on 23 January 2008. Retrieved 15 December 2007. ^ Gregory's (2003). Darwin and Central Australia Street Directory (3rd edition). Universal Press. pp. Maps 7, 17. ISBN 0-7319-1276-4. ^ Australian Bureau of Statistics (25 October 2007). "Brinkin (State Suburb)". 2006 Census QuickStats. Retrieved 15 December 2007. ^ Ellengowan Drive (2010). Northern Territory Government: NT Place Names Register. Retrieved 22 February 2010. ^ Heritage: SS Ellengowan Archived 6 October 2009 at the Wayback Machine (2007). Northern Territory Government. Department of Natural Resources, Environment and The Arts. Retrieved 31 January 2010. 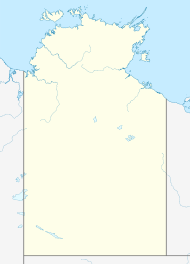 Wikimedia Commons has media related to Brinkin, Northern Territory. This page was last edited on 12 November 2018, at 10:49 (UTC).